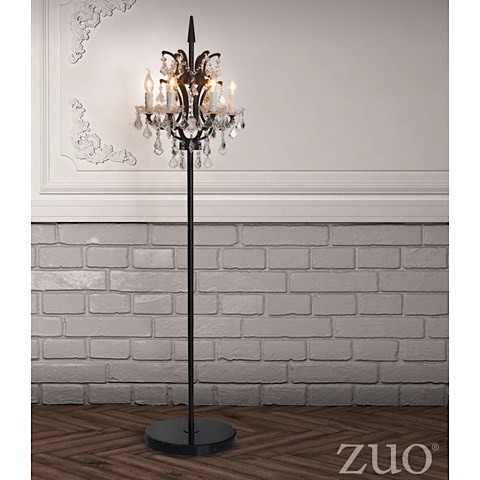 The Phoenix Floor Lamp is an updated version of the classic candelabra chandelier. 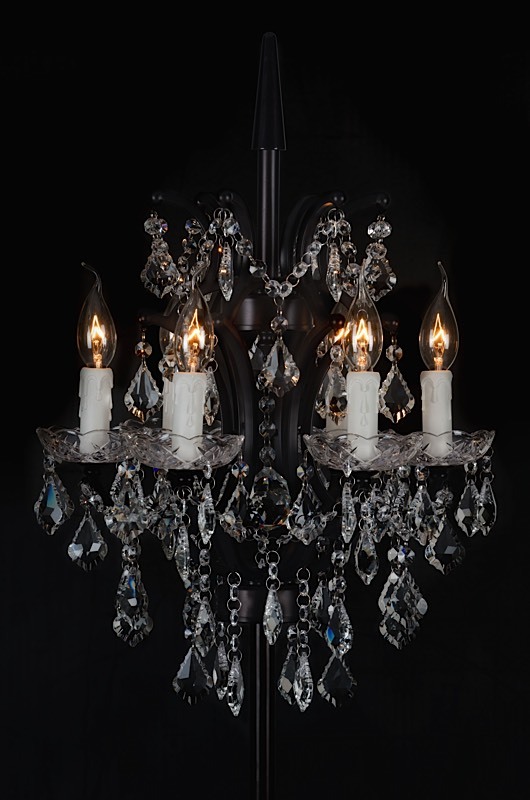 Two tiers of faceted clear crystals drape an elegant bronze metal frame. Accent any office or hotel lounge for an aristocratic look and feel. 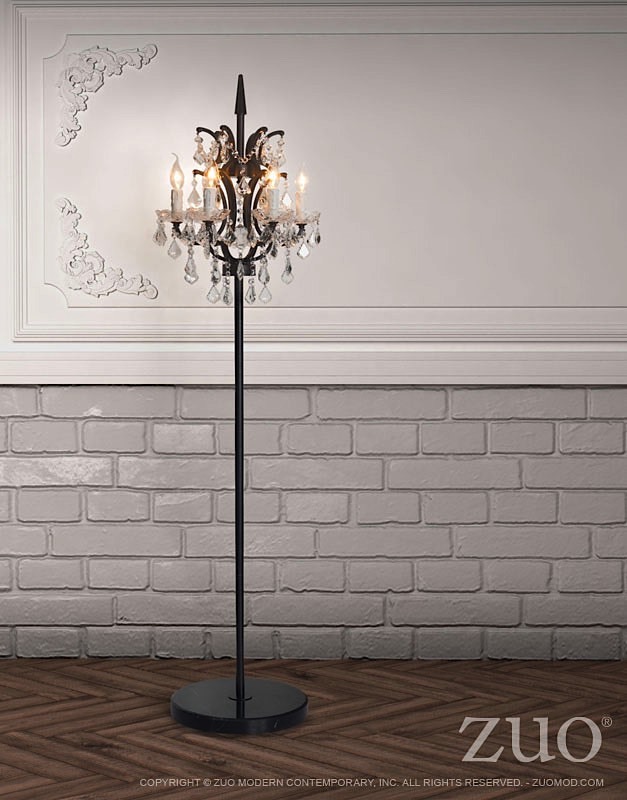 Phoenix requires six (6) Type BA bulbs with an E12 socket size which are included with the lamp. The lamp has a cord length of 78.7" with an "on-line" switch type.